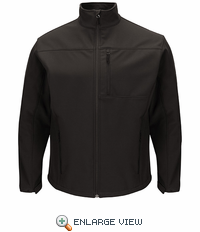 This high-end lightweight jacket feels great, yet can stand up to industrial laundering. Imagine heading out from work to meet the family for dinner, and being glad you still have your work coat on. Shell: 96% Polyester / 4% Spandex. 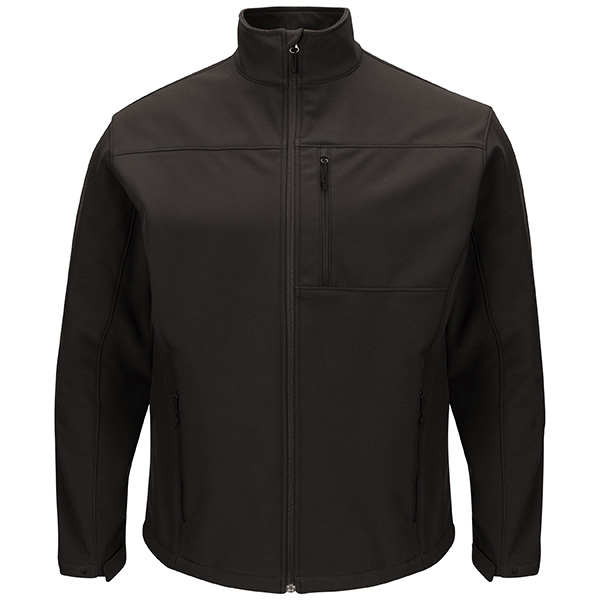 Closure: Full-zip front with zipper garage. 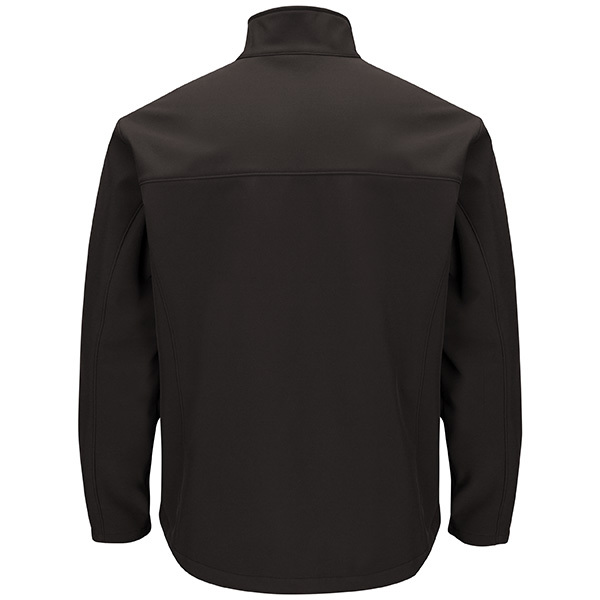 Collar: Stand-up collar with Fleece lining. Fabric: 10.3 oz. Soft Shell. Interior pass-though opening for headphones in chest pocket. Contoured bottom with adjustable drawstring sides. Hemmed cuffs with snap adjustment tabs. Pocket: Convenient chest pocket and two on-seam hand pockets all with zipper closures.